Let’s celebrate being unique today. Each one of us has unique personality traits and different characteristics that make us who we are. We’re all different, and that’s a great thing. Some of us are tall, short and dare I even say round. Some of us have parents from different nationalities, different beliefs and backgrounds. Over the years, we’ve become a mixed breed. We’re all different and beautiful in our own way; it just might be tough to pinpoint our origins. Being different and unique is great so let’s celebrate as a pet parent. Today marks National Mutt Day. Mutts, just like us are unique and different. A mutt is defined as a Mongrel or a dog of unknown ancestry. The definition alone intrigues me. With a mutt, there’s mystery in every trait. How large will they get? What type of coat will they have? What’s their temperament? 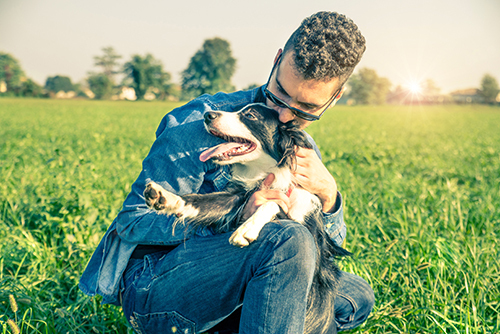 Mutts might have mystery, but those mysterious traits might fit you as a pet parent more than a purebred. There’s nothing wrong with purebreds, but purebreds have a specific look and you know what your little guy is going to look like. By adopting a mutt, there’s mystery, and sometimes their traits will fit better to yours than just going off looks. If you’re thinking of becoming a pet parent, don’t hesitate to swing by a shelter and get to know a mutt. Take them on a walk and get acquainted. You never know, it could be love at first sight, and you’ll become two peas in a pod.